Fighting games are a staple of the video game community, but one thing is certain; if you want to be good, you need to study. There are combos you’ll need to memorize, strategies you’ll need to learn for each enemy, the depth of the genre can really be intimidating. My problem is, I don’t really have the time or the patience to dig that deep. I found out at this year’s PAX East that Iron Galaxy has me covered with Divekick. Divekick structures itself like most fighters, with players choosing from a wide cast of characters, each of whom have their own attributes. Some are slower, some faster, some a bit tricky. The catch is, there are only two buttons: dive and kick. Dive launches you high in the air, and kick launches you forward toward your opponent, or quickly back-steps if still on the ground. Once the round starts, the first one to land a hit wins. The snappy nature of the game pumps every round full of adrenaline. The basic premise instantly drew me in, and after one quick match of five rounds, I got right back in line to play again. As someone with only a passing interest in fighting games, Divekick is a breath of fresh air in an otherwise system heavy genre. It distills the core concept down to it’s most basic elements, and while it may not provide the same level of depth, there’s a lot of payoff with very little investment. Divekick is the potato chip of fighting games. Surrounding this basic idea is a whole heap of self-awareness. After each match, players are greeted with a number of ratings, including Diving, Kicking, and Not Losing. Mix this with a cast of fighters that poke fun at genre stereotypes, and the end result is self deprecating in a silly and fun way. Another thing to keep in mind are the amazing controllers used at the Iron Galaxy booth. About the size of a regular fighting stick, the surface is entirely taken up by two buttons, obviously labeled as Dive and Kick. So the experience created was one of me smashing giant glowing yellow and blue buttons with a stupid ever growing grin on my face. It’s weird, but exactly the kind of weird I can get behind. Most importantly, Iron Galaxy’s Dave Lang half jokingly mentioned during the Giant Bomb panel that they might bring these controllers to market if the demand is great enough. I don’t care if it was a joke, I want this to happen. 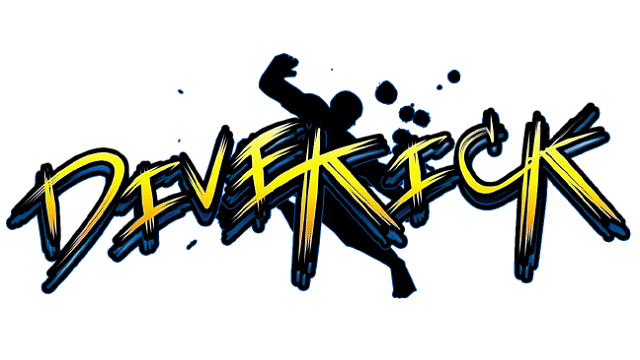 Divekick is currently scheduled to release on the PS3 and Vita, and be sure to check out the Steam Greenlight page. Expect it sometime this summer.